One of the ingredients used in making e liquid is (Pharmaceutical Grade) Propylene Glycol. 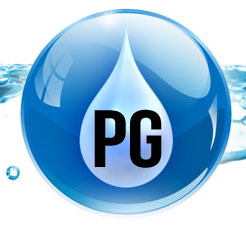 Both the FDA and The World Health Organisation considers Pharmaceutical Grade PG (Propylene Glycol) safe for humans. When propylene glycol is injected, it is metabolized in the human body into pyruvic acid (a normal part of the glucose-metabolism process, readily converted to energy), acetic acid (handled by ethanol-metabolism), lactic acid (a normal acid generally abundant during digestion)] , and propionaldehyde. Because of its low chronic oral toxicity, propylene glycol was classified by the U. S. Food and Drug Administration as “generally recognized as safe” (GRAS) for use as a direct food additive.